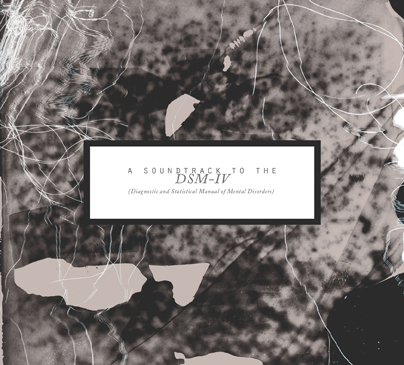 I recently completed work on a laborious project that I am quite excited about: A Soundtrack to the Diagnostic and Statistical Manual of Mental Disorders. I joined this forum to share this project because I think that most you will find it's premise interesting and, ultimately, with hopes of spreading word about this very unique release. The Soundtrack is comprised of interpretations of 10 disorders from the DSM-IV as performed by a series of randomly created groups. Although the groups had time to read about, and discuss, the disorder they were assigned, the performances themselves were entirely improvised. Our aim in approaching this concept was to not only produce an environment that challenged our performers but, by having the performers put themselves in a mindset necessary to generate a convincing interpretation, give them a better understanding of the disorders that millions of people struggle with daily. Explored on this release are: Delirium, Pica, Obsessive-Compulsive Disorder, Depression, Tourette Syndrome, Cymophobia, Sleep Terror Disorder, Narcolepsy, Catatonic Schizophrenia and Trichotillomania. A Soundtrack to the DSM-IV will be our first professionally duplicated CD, officially available in November. Until then, we are taking pre-orders for the release and are offering (exclusive to pre-orders) a limited edition, signed and numbered, 11X17 print. As with all of our efforts, the proceeds from this release will be utilized to fund future events and releases. I have dedicated an immense amount of my time over the past few years to this project and cannot express how grateful I am to those that support it, whether through pre-ordering the CD or by simply sharing the link. For those of you that do purchase the album, please email info@outputnoise.com as we would be absolutely thrilled to hear your thoughts about it. Thank you.